Up to now the ministry of Defense has had 19 Defense Attaché Offices, however by the Decision of the Government the Republic of Serbia may form its DAO in 32 countries, while the defense attaché officers may be accredited on non residential basis in other ten countries, said for “ BLIC” acting director of the Military Intelligence Agency Brigadier General Dragan Vladisavljevic. So far the Ministry of Defence has had 19 defense attachés, but by the decision of the Serbian Government, Serbia can establish defense attaché offices in 32 countries and may accredit the non-resident defensé attaches in ten more countries, as the Acting Director of Military Intelligence Agency, Brigadier General Dragan Vladisavljevic told the Blic daily. 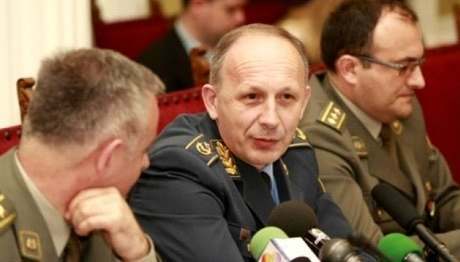 General Vladisavljevic: We have strived to open defense attaché offices in states with which we have been planning joint activities, as well. Out of the existing 19 defense attaché offices, explains Vladisavljevic, in four countries – the USA, Great Britain, Germany and Russia we have defense attachés and assistant defense attachés, while the remaining defense attaché offices only have defense attachés (Croatia, Hungary, Romania, Bulgaria, Macedonia, Bosnia and Herzegovina, as well as in France, Italy, Austria, Greece, Turkey and Spain, and in Asia and Africa - China, Egypt and Libya). - The decision on the number and distribution of defense attaché offices is made by the Government of the Republic of Serbia, while the Minister of Defense prescribes rules on defense attaché offices. It is the Minister who makes the decision on establishing, closing or revocation of defense attaché offices at the proposal of the Director of Military Intelligence Agency. This proposal is formulated based on the analysis of security and defense priorities of the country, perceiving threats and the need to monitor political and security situation in certain regions. The Director of the MIA explains that the most important defense attaché offices are most certainly in the neighboring countries, but also in major European countries and the permanent members of the UN SC. -We have recently been striving to open defense attaché offices in states which greatly contribute international security and in which we have been planning joint activities, such as Spain. But the selection is made in order to achieve accordance between desires and economic possibilities. This regarding, there is the option of performing of defense attaché’s duties on non-residential basis, says our collocutor. Defense attaché offices, he underlines, are established with permanent diplomatic missions abroad, and through the strengthening of civil control and the development of defensive functions, defense attachés have been assigned, as he states, a number of new tasks in the field of international relations, defense policy, international military cooperation, economic, scientific and technical cooperation in the field of defense. As for the defense system hierarchy, defense attachés are directly subordinated to the Minister of Defense. Their work is indirectly controlled by the Government and Parliament of the Republic of Serbia. In terms of organization, they are members of the Military Intelligence Agency of the Ministry of Defense and are subordinated to its Director. According to the given instructions and based on the data they gather as official representatives through prescribed and legal diplomatic means, the defense attachés prepare and submit reports on the developments in the countries they reside in and in other countries of interest to the security of Serbia. At the same time, they advise our ambassadors on defense matters within diplomatic missions of Serbia in foreign countries. With the dissolution of the Socialist Federative Republic of Yugoslavia, many defense attaché offices were closed. After the NATO aggression, there was a discontinuation in diplomatic relations with the four leading NATO countries – the USA, Great Britain, Germany and France. After October 5 2000, these relations were re-established. Vladisavljevic notes that the closing of the defense attaché offices negatively effects bilateral relations and interests of the country. The establishment of defense attaché offices was approved by the decision of the Government in the following countries: Albania, Austria, Belgium, Bosnia and Herzegovina, Bulgaria, United Kingdom of Great Britain and Northern Ireland, Greece, Egypt, Israel, India, Iraq, Iran, Italy, the Republic of South Africa, China, Libya, Hungary, Macedonia, Germany, Norway, Romania, Russia, the USA, Turkey, Ukraine, France, Croatia, the Czech Republic, Spain, Algeria, the Netherlands and Portugal. In countries in which there are no Serbian defense attaché offices established, a defense attaché may be accredited on a non-residential basis, in Belarus, Denmark, Canada, Moldova, Poland, Slovakia, Slovenia, Finland, Montenegro and Sweden.